ANARKIS: OSAMA – Jihadist or Terrorist? OSAMA – Jihadist or Terrorist? 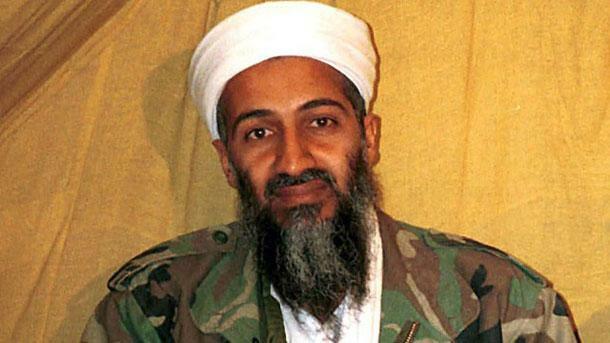 On 2nd May, the world was shocked with news of the death of Osama Bin Laden. The news been confirmed by the President of USA, Barack Obama himself. Osama bin Laden was killed in the military operation codenamed Operation Neptune Spear, executed by US Navy SEAL from DEVGRU (Development Group of Naval Special Warfare) or better known as SEAL Team 6. He was killed at his safe house, a bungalow in Bilal town, Abottabad. His remain was flied to air craft carrier USS Carl Vinson and was handled accordance to Islamic practice before it been buried at sea in less than 24 hours. Makes me wonder whose the person being assigned to carried out the responsibility? Is he a true Muslim or Muslim by name only (which most Muslim in America is). Reason been given why Osama remain being buried at the sea is to prevent it from becoming a terrorist shrine. American do learn from history when the enemy they help assassinated, Ernesto Che Guevara now become a symbol of a revolution and rebellion against American imperialist and the last thing they need is an Arab version of Che Guevara. Respond from the leaders of the world, most of them are relief with the death of Osama and hoping that it will bring back the peace of the world. Even our prime minister gave the same comment. You have got to be kidding with me! Is every tyranny in the world nowadays is cause by Osama? But than again I understand that they had to respond such as that. A slightest sign of grieving towards the death of Osama is like being a sympathizer to Adolf Hitler. As far as I notice only one leader (if he can be consider as world leader) who condemn the assassination of Osama Bin Laden. Ismail Haniyeh, the leader of Hamas is openly considering Osama as a Muslim and Arab warrior. How come Ismail Haniyeh bravely praised Osama against the mainstream reaction of the world? Probably because he believes he has nothing to lose by admiring Osama and probably because he himself is already targeted by the Israel and the American. Only a matter of time before he received the same fate of Osama. So, what the heck! The reaction of the non Muslim in Malaysia towards the assassination? Based on the comment by the columnist and from the letter send by the reader to the mainstream newspaper, obviously they shared the same opinion with the westerner and some went as far as celebrating the death of Osama. But they can’t be blame because they don’t care a less about what is happen to the world of Islam just like we don’t care about what is happen in Tibet! They praise the death of Osama because it is a popular believes. Osama is a brutal and heartless terrorist, causing the death of thousand of innocent people. There for he deserve what has be fall on him. What do I think about the death of Osama? I thing the western is already too late. Osama has had enough time to planting the seed of hatred in the heart of Muslim throughout the world towards the western especially the American. Nothing positive will come out from his assassination and it surely not going to change the world (accept the popularity of Obama in the eye of the American). But the main question for us the Muslim, is Osama a jihadist or a terrorist. From the opinion of cleric and scholar of Islam generally consider the act of killing the civilian and the innocent is a sin and if Osama is masterminding the plot of suicide bombing and other terrorist act, then he is a terrorist, but until now there’s no proof of him being the culprit behind all of this terrorist act (even though he might have inspired the others). Even the 9/11 incident which is so significant to him (that led the invasion of Afghanistan and Iraq) is lacking of proof of Osama involvement. The only proof that can linked him with the incident is the video recording of him having a discussion with a group of people on what happen if the plane rammed in to the skyscraper. So is Osama a jihadis or a terrorist? Only god knows. But for us the Muslim, we are prohibited from celebrating the death of fellow Muslim (or non-Muslim). Maybe the only rational comment over the death of Osama bin Laden comes from Nik Aziz. He stated; if Osama is assassinated, we’re the Muslim must pray to god for his forgiveness to Osama as a fellow Muslim. For me, Osama might be not in the same level of Sayyid Qutb neither Hassan Al Banna but he surely in the same group of Aslan Maskhadov and Shamil Basayev. May Allah forgive their sin and placed them with the as-syahid.